This graphic is from A Price Tag on Carbon as a Climate Rescue Plan, May 30. Governments around the world are experimenting with issuing permits that allow industries to emit carbon dioxide and other greenhouse gases, then restricting those permits to rein in carbon emissions. The government imposes a cap on the total amount of greenhouse emissions allowed from major industries, then issues permits to match the amount of the cap. Each permit allows the emission of one ton of carbon dioxide, or equivalent. Initially, most of the permits are given to industries at no cost. The remaining permits can be bought at a government auction or traded in a carbon market set up for that purpose. The government gradually lowers the carbon cap by a few percent a year, which reduces the number of available permits and cuts the total amount of pollution allowed by the industries under the carbon cap. 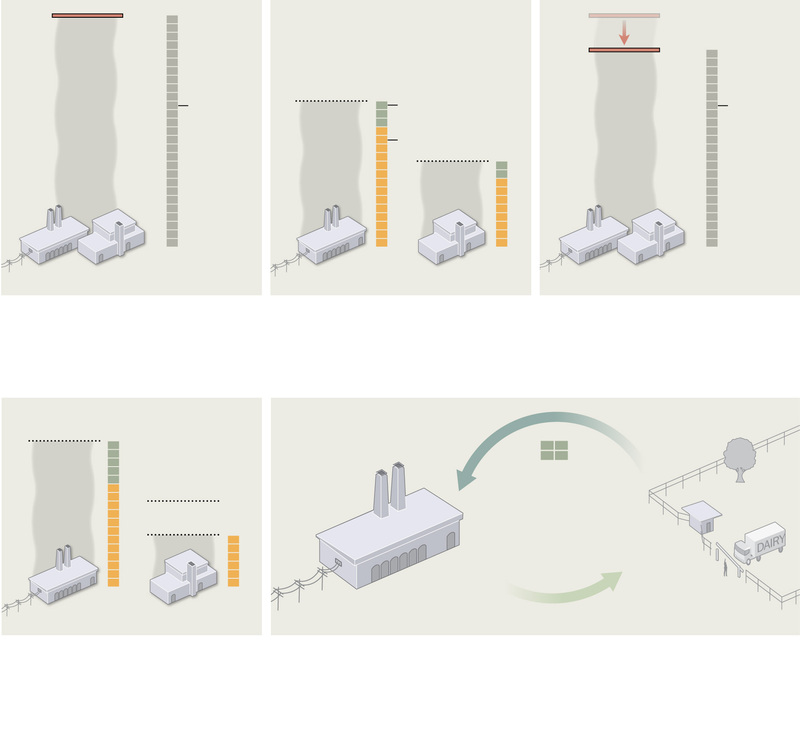 Industries can reduce their emissions by spending money to upgrade their facilities and equipment, or they can use the carbon market to purchase the carbon permits needed to cover their emissions — whichever is cheaper. Industries can also invest in projects elsewhere that lower carbon emissions, like forestry or burning methane from dairy cows. These projects create “offset credits” that can be used or sold, usually at a lower price than government-auctioned permits. IN AN incredible medical marathon, a dozen Victorians went under the knife in ­Australia’s largest live kidney ­donation and transplant swap. "The Australia-first paired ­kidney exchange, if successful, will give six people who have been languishing on dialysis a second chance of life. "Twelve operations to remove and transplant the organs were performed in four major hospitals across Melbourne yesterday. "The extraordinary chain of events was triggered by Victoria’s first altruistic donor giving a ­kidney up to a stranger. "That selfless act set off a domino effect that became the ­nation’s first six-way paired kidney transplant exchange attempt. "Five other Victorians gave up a kidney to a suitably matched stranger. "A loved one of each donor who was in need of a kidney received a donated organ in return." When does sperm donation equal paternity? There are lots of issues to be settled about transactions related to reproduction, such as surrogacy, and egg and sperm donation. Some of these are illustrated by a case going through both the courts and the media in California. Here's the NY Times story: Does ‘Sperm Donor’ Mean ‘Dad’? "California, like many states, according to Professor Cahn, has conflicting statutes. One provides that any man can establish parentage if he “receives the child into his home and openly holds the child out as his natural child.” But another statute holds that a man who provides his sperm to a doctor for the purpose of inseminating an unmarried friend is “treated as if he were not the natural father” — unless there is a specific written agreement ahead of conception." My lecture starts at 47:30 (and you can get there directly by clicking on the link "Market Design: The Economist as Engineer. Alvin E. Roth" It's 20 minutes (it was supposed to be 15, with 5 minutes for questions, but I wasn't the worst offender...). "Three academics were named co-winners of the $100,000 prize in AQR Capital Management's Insight Awards, for their paper on market dynamics and structure in an era of high-frequency trading, outdoing four other finalist papers, including one co-authored by a Nobel laureate. 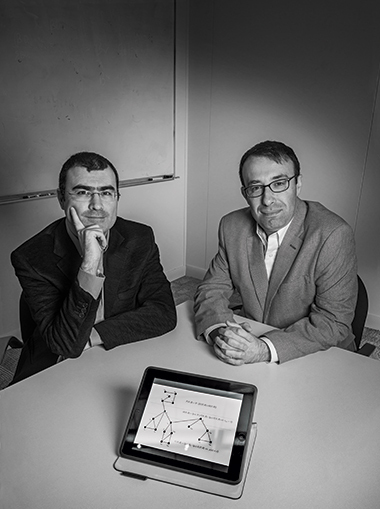 Eric Budish, Peter Cramton and John J. Shim were recognized for what AQR called their “path-breaking” paper, “The High-Frequency Trading Arms Race: Frequent Batch Auctions as a Market Design Response.” Their research uses “millisecond-level direct-feed data from exchanges.” The authors propose an alternative to the “arms races” employed to exploit trading opportunities. The three — Mr. Budish, associate professor of economics,University of Chicago Booth School of Business; Mr. Cramton, professor of economics, University of Maryland, College Park; and Mr. Shim, Chicago Booth School Ph.D. candidate in finance — will share the prize equally. In their paper, the authors contrast important costs and benefits of continuous trading when traders transact virtually instantly in ever smaller increments of time and trading in discrete intervals of time, say, every 100 milliseconds, and conclude discrete interval trading better serves market participants. In total, 248 papers, all unpublished as required by the competition, from 26 countries were submitted in AQR's third annual competition. AQR plans to post the papers on May 28. The winning paper was among five finalist papers. 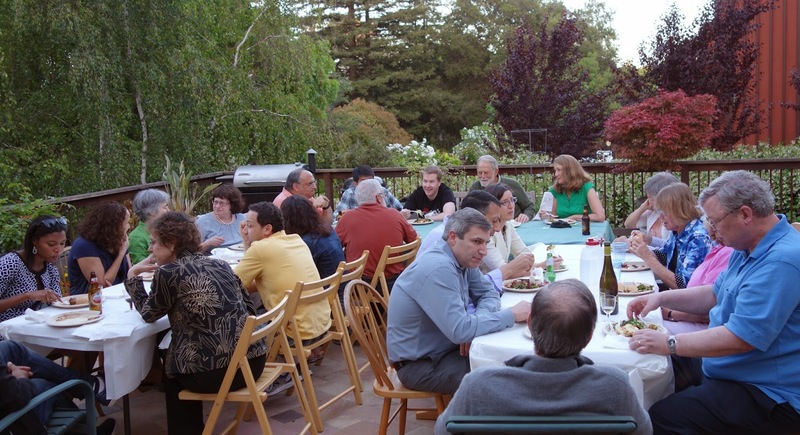 Authors from each finalist paper presented and discussed their research April 24 before a gathering, including the 19-member AQR award selection committee and some AQR clients. The award, sponsored by AQR, seeks to encourage innovation in academic research that can be applied in investment management, said David Kabiller, AQR founding principal and a member of the committee, in an interview. AQR set a large cash prize to draw attention to the competition and encourage top submissions because “we believe the market responds to incentives,” Mr. Kabiller said. Submissions for papers for the fourth annual AQR Insight Award competition are due Jan. 15." Previous posts on Budish et al. are here and here. "MOVING to an opt-out system of organ donation in Scotland would “not necessarily” lead to more transplant operations taking place, the public health minister has said. Michael Matheson insisted the Scottish Government was still “unconvinced” about making such a change. He spoke out as Holyrood debated a petition backed by more than 20,000 people calling on ministers to introduce an opt-out system for organ donation. Wales is introducing an new system of deemed consent at the end of next year, where organs can be taken for transplant unless people have made it clear they do not wish this to happen after their death. Mr Matheson told MSPs the Scottish Government would monitor the situation in Wales to see what impact the change had. But he stated: “It would be fair to say we remain unconvinced that we should make any move to introduce an opt-out system right now. The minister added: “People believe opt-out will mean more organs will become available but our own experts tell us this is not necessarily the case. “Opt-out means increasing the proportion of the population on the organ donor register but you don’t need to be on the organ donor register to be a donor. Over the last five years, 62% of all donors in Scotland are not on the donor register. “The real issue that limits the number of donors is the number of people who die in circumstances where donation is possible. Mr Matheson said the US had a higher organ donation rate than Scotland but did not have an opt-out system while Sweden has an opt-out system, but has a lower donation rate than Scotland. “There is no single thing that will bring about the revolution in donation rates,” Mr Matheson said. He told how Scotland had almost doubled the number of organ donors in the last six years, adding there had been a 62% rise in transplants being carried out - the highest increase in the UK. Meanwhile, there has been a 25% reduction in the transplant waiting list since 2006-07, Mr Matheson said. He told MSPs: “We’re making the best progress in the UK. We’re seeing more donors and we’re delivering more transplants and we’re saving more lives as a result. In letter to deputy attorney general, David Madioni says black market moneylenders using threats, extortion to force debtors to sell organs abroad. "Israelis who owe money to loan sharks are being forced to sell organs abroad in order to pay back their debts, the head of Israel's Enforcement and Collection Authority has warned the deputy attorney general, in a letter obtained by Ynet. "The letter by David Madioni to Avi Licht paints a dark picture of black market moneylending in Israel. Known debtors are requesting permission to leave the country, he claims, with the express intention of selling organs. "Madioni notes in the letter that a number of debtors have recently visited his office in Tel Aviv, seeking to abolish restrictions on them leaving the country. These people, Madioni writes, told him their trips are expressly in order to sell organs to clear their debts. ""I clarified that each is in debt to loan sharks in addition to existing debts (dealt with by the state)," reads the letter to Licht. "Black market elements 'recommended' that they sell their kidneys abroad so as to repay their debts, while threatening their lives if they do not comply." "These cases point to a frightening phenomenon, which are offenses under the law on organ transplants," Madioni wrote. "Beyond this, there appear to be far more serious offenses of extortion through threats, exploitation and physical harm for payment of debts." To make a long story short, I'll be speaking at the conference of the International Network of Customs Universities (INCU), “Trade Facilitation Post-Bali: Putting Policy into Practice," in Baku. The Inaugural INCU Global Conference 2014 "Trade Facilitation Post-Bali: Putting Policy into Practice" will take place from 21 to 23 May 2014 in Baku, Republic of Azerbaijan and will be hosted by the State Customs Committee of the Republic of Azerbaijan. Here's a draft of the program. It will be a chance for me to meet Chris Pissarides, and to reconnect with Tom Sargent. 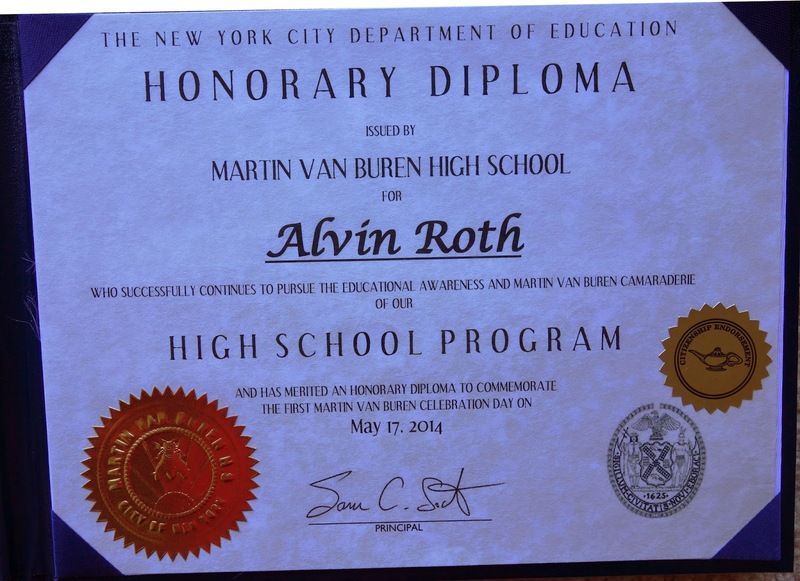 I visited my old high school this past weekend, Martin Van Buren High School in Queens, in New York City. It was fun on a number of different levels. But it reminded me that credentials are complicated. The powers that be inquired into the possibility of giving me a high school diploma, but found, not surprisingly, that I'm still not qualified. But I got to add an honorary high school diploma to my growing collection of unusual honorary degrees. 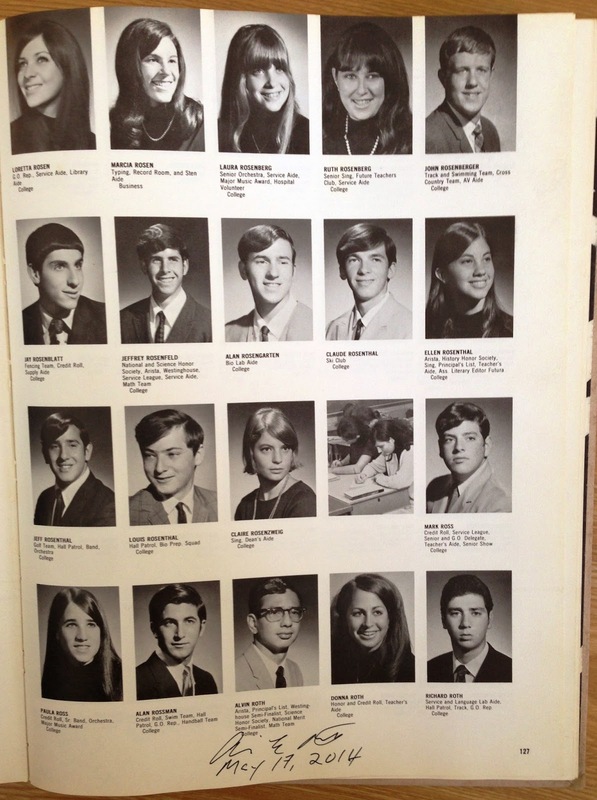 And I found out that I had been included in the 1969 Yearbook with the rest of my class, although I didn't graduate with them. "The Federal Communications Commission today adopted rules to implement the Broadcast Television Incentive Auction. The two-sided auction will use market forces to recover spectrum from television broadcasters who voluntarily choose to give up some or all of their spectrum usage rights in exchange for incentive payments, in order to auction new spectrum licenses to wireless providers." and here's a news story: The 4G incentive auction rules are set, and a lot of people aren’t happy with them. My old high school--which was a giant city school when I attended, with well over 1,000 students graduating each year--hasn't been thriving, and a group of alumni are hosting a Celebration to help revive it. It turns out that I am the second, not the first Nobel laureate to have attended. MVB Alum, and Head Coach of Fordham University’s Basketball Team, Tom Pecora, and his team will conduct a clinic for 6th-8th grade youth from community schools. Everyone is welcome. There is no charge for this event. Showcasing our band, chorus, and dance troupe. Join the 55 graduating classes for the first ever all-class reunion at MVB! "After the city lifted zoning restrictions more than 10 years ago, students left Van Buren en masse for schools like Francis Lewis, Bayside and Cardozo high schools. Van Buren received a “D” on its most recent city progress report and received a below-average rating on last year’s school survey. But under the leadership of new Principal Sam Sochet, the school is poised for a turnaround, Wilson said, and part of the celebration day’s schedule includes an open house promoting a handful of new programs." Health insurance for kidney donors? Where could more kidneys come from? Almost 2/3 of all deaths happen to people over age 70, almost all of whom are deemed medically unacceptable donors. Most remaining deaths happen outside of hospitals in uncontrolled settings like auto accidents, or occur inside the hospital from causes like cancer, diabetes, and renal disease that ordinarily rule out kidney donations. The bottom line is that, in 2010, only about 9,000 deaths happened to “eligible” donors — in the sense that the deceased person had healthy organs and was declared dead due to cessation of electrical activity in the brain after the hospital had arranged to preserve blood circulation in the patient. In 70% of those cases the kidneys were in fact donated. An additional 928 donations happened after cardiac deaths (only rarely possible because successful preservation of kidneys under that circumstance is difficult). Basic arithmetic shows that even if everyone in the United States had signed an advance consent form allowing donation of organs, and every family honored that agreement at the time of death, only an additional 2,751 donors — yielding roughly 5,500 kidneys — would have been available in 2010. In short, the kidney shortage cannot be eliminated simply by measures aimed at increasing rates of donation from the deceased. Additional kidneys from people who die would be welcome, but will not be nearly enough to satisfy current need, let alone reduce the backlog of sick patients awaiting a life-saving kidney donation. Barring a major breakthrough in recovering organs from deceased patients currently deemed unsuitable, the only plausible solution is to increase donations from the living. There are other advantages to using more living donors. More transplantable kidneys from live donors would improve health outcomes for those with end stage renal disease and reduce the annual cost per patient. Donating a kidney is no walk in the park, but the medical risks are very low. People can do just fine with a single kidney. Currently, most people who donate one of their kidneys do so to help someone they know, usually a family member. Education and public outreach might increase the number of altruistic donors willing to make an organ gift to a stranger. But in 2012, only 182 people made such “nondirected” donations — and the trend is downward, not up. The high and increasingly unmet need for transplantable kidneys prompts many observers — including us — to believe that the time is ripe to reconsider financial incentives. An unregulated market in kidneys would be open to abuses and corruption. A better alternative would be a public agency with sole authority to provide financial incentives for organ donation, after would-be donors are screened not just for good physical health but to ensure that they are making an informed decision after careful reflection. Even with safeguards, some say that putting a price on body parts is bound to be dehumanizing. But markets already exist for blood plasma, eggs, sperm and hair. At the end of the day, objections to compensation for kidney donors must be weighed against the growing loss of health and life caused by our current inadequate system. Related research: An in-depth paper by Cook and Krawiec, “A Primer on Kidney Transplantation: Anatomy of the Shortage,” is forthcoming in Law and Contemporary Problems, Vol. 77, No. 3. A working version of the paper is available on the Social Science Research Network. Science journalist Paul Gabrielsen interviews me about kidney exchange, and produced this (6 minute) podcast from our discussion. 3,000 people every year who die while waiting for a transplant? Or is there another option? Alvin Roth, an economist at Stanford University, realized that many such pairs of incompatible patients and donors may exist, and that they may be able to help each other. I spoke with Roth, a member of the National Academy of Sciences, by phone to discuss how principles of economics can save the lives of people who need kidney transplants. PNAS: So, what is the outlook like for someone who needs a kidney transplant? deceased donor organs, which can be many years in length. And that’s where kidney exchange comes in. You could be in that situation, you love someone enough to give them a kidney, but they can’t take your kidney, and I’m in the same situation. But now, you could give a kidney to my patient and I can give a kidney to your patient, we’d have exchanged kidneys and arranged it so that each kidney patient could get a kidney that they were compatible with. PNAS: And to that end, you helped found one of the first kidney exchange programs, the New England Program for Kidney Exchange, in 2004. So let's say I have a kidney that I'd like to donate and I sign up into one of these exchanges. Can you walk me through the process? Roth: Okay, so that depends. One critical difference – when you say you have a kidney you’d like to donate, is whether or not you have an intended recipient. PNAS: Let’s say I do. every chain is long. The important thing is the chains can be non-simultaneous. PNAS: So, you’ve actually attended one of these nephrectomies in Cincinnati. Can you tell me what that experience was like and why you decided to go? nephrectomy, and what that means is the surgeon is working through pretty small incisions, he’s working with a camera and a video screen, so you can watch, in detail, what he’s doing with his equipment, and he’s assisted by a surgeon who inserts his hand through a slightly larger incision, and the two of them work as a team, the surgeon doing the cutting asks the assistant to put tension on different tissues, and you see all this on a video screen. And finally, it’s like a magic trick, the kidney comes out in the surgeon’s hand. 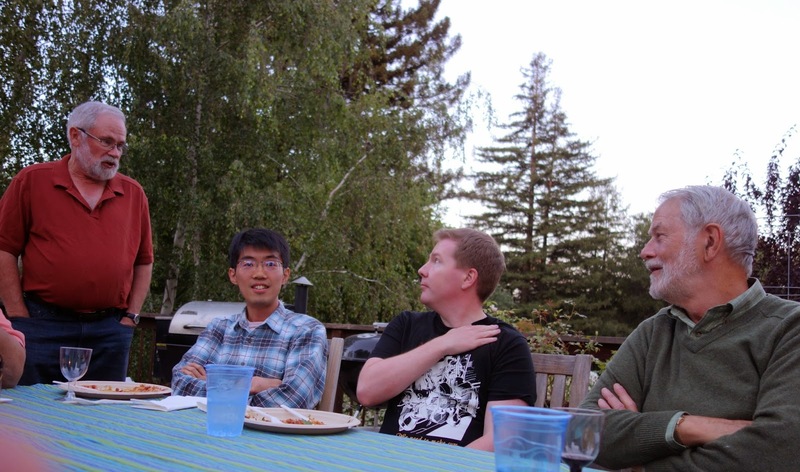 PNAS: So, what is the future of kidney exchange? Roth: For kidney exchange, we’re still doing lots of things on how to make the exchanges work better, and some of those have to do with how surgeries are organized, some of them have to do with how payments are organized. Eventually, I hope that in a hundred years, my grandchildren and yours will think of transplantation as an outdated barbarity, they’ll say to you, “So tell me again grandpa, you used to cut an organ out of one person and sew it into a sick person and that was modern medicine?” I hope that advances in medicine will eventually give a better solution. That doesn’t mean that we can ’t keep moving ahead now, because for the time being there are lots of people waiting on the waiting list, and many of them die while waiting. PNAS: Thanks for listening. You can find more podcasts at pnas.org. Welcome to Science Sessions, the PNAS podcast program. Listen to brief conversations with cutting-edge researchers, Academy members, and policy makers as they discuss topics relevant to today's scientific community. Learn the behind-the-scenes story of work published in PNAS, plus a broad range of scientific news about discoveries that affect the world around us. Shortly after the Nobel prizes are awarded each year, it becomes the task of the staff of the Nobel Foundation to get the prizewinners to write various things, including an essay of intellectual autobiography. Mine was completed fairly promptly, and may have been available for some time now, but I just noticed that it is here (with some pictures:). The incidence and prevalence of chronic kidney disease and end-stage renal disease (ESRD) have continued to increase exponentially all over the world in both developed and developing countries. While the majority of patients in developed countries benefit from various modalities of renal replacement therapies, those from developing economies suffer untimely deaths from uremia and cardiovascular disease. Kidney transplantation (KT) leads to improvement in both the quantity and quality of life. Unfortunately, it is not exploited to its full potential in most countries and this is particularly the case in developing economies. Only a very small fraction of the ESRD population in emerging countries ever gets transplanted because of the many constraints. This review focuses on KT in Nigeria between 2000 and 2010 and assessed particular challenges that need be addressed for KT potential to be fully harnessed in such resource-constrained settings. A total of 143 KTs were performed in 5 transplant centers, some of which have only recently opened. One-year graft and patient survival was 83.2% and 90.2%, respectively, while the 5-year graft and patient survival was 58.7% and 73.4%, respectively. Mortality was reported in 38 (27%) of recipients. The complications recorded included acute rejection episodes in 15–30%, chronic allograft nephropathy in 21(14.7%) and malignancies, particularly Kaposi Sarcoma, which was reported in 8 (5.6%) recipients. It was concluded that KT has led to an improved survival but is bedevilled with unaffordability, inaccessibility, a shortage of donor organs and poor legislative support. Enactment of relevant organ transplant legislation, subsidization of renal care, and further development of local capacities would improve KT utilization and thus lead to better outcomes.